Artistry may be expressed in many ways. Painting is an independent form, surprising one. 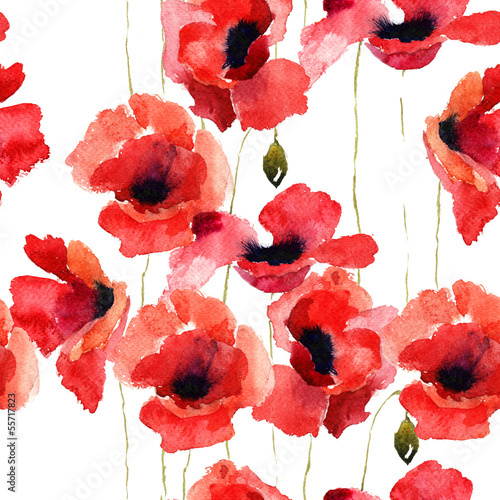 Watercolour red poppies will be the most suitable finial of design in your bedroom. Subtle strokes of a brush will add some lightness and thoughtfulness. Let you room acquire harmony. Thanks to our photo wallpaper, you will feel a touch of luxury.